The new Mission centre in Sri Lanka, named 'Chinmaya Pragati', is situated on the seashore in Colombo. 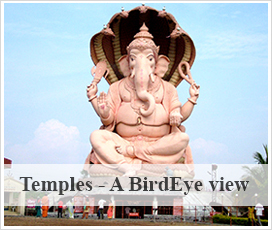 A beautiful temple has been built on the first floor, dedicated to Bhaktavatsala Shrirama. The roof-top terrace overlooks the Indian Ocean. One can spend hours in contemplation there, lulled by the gentle lapping of the waves, till the mind becomes indrawn in spontaneous meditation. The installation of the murtis and the inauguration of the Centre was done by Pujya Guruji Swami Tejomayananda on 27th April 2007. In his inaugural address, Pujya Guruji said that 'Pragati' means 'marching ahead'. The centre was intended for the progress of the society and the nation at large. It should meet the physical, emotional and spiritual needs of the devotees, fulfilling Gurudev's vision to give maximum happiness to the maximum number of people for the maximum amount of time. 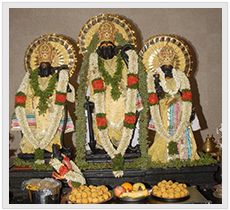 He pointed out that with Hanumanji presiding over the hills at Ramboda and Bhaktavatsala Shrirama at the seashore shrine in Pragati, the members had nothing to fear. "The Lord is always near as the mother is," said he. Guruji himself had sung and recorded the aarti shlokas and gifted the CDs and booklets to the devotees there.